Free snacks are back at United! 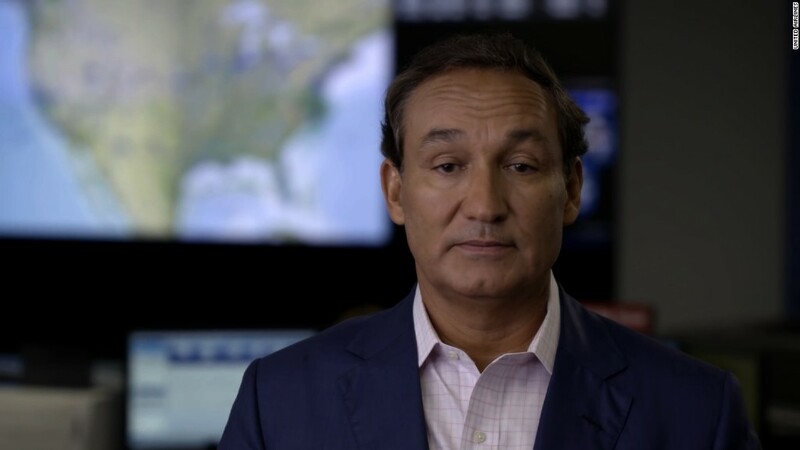 What's next for United Airlines? The skies are getting a little friendlier. United Airlines said Wednesday that it's bringing back free snacks for hungry passengers traveling in economy. The new nibbles will debut in February 2016 on United (UAL) flights within North America and Latin America. Flights that depart before 9:45 a.m. will serve stroopwafel -- a Dutch, caramel-filled waffle. Flights later in the day will have savory snack mixes, including one with rice crackers, sesame sticks and wasabi peas and another that has mini pretzel sticks, Cajun corn sticks and ranch soy nuts. 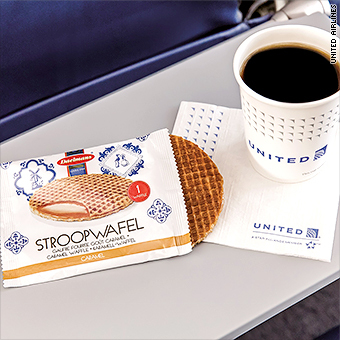 United plans to serve stroopwafels to passengers traveling in the morning. United Airlines first nixed free snacks in 2008 amid the financial crisis. The airline briefly resumed free snack service after it merged with Continental, but canceled it again in 2011. Although United hasn't offered any free food in years, it does give passengers complimentary soda, water and coffee. "We're refocusing on the big and little things that we know matter to our customers and shape how they feel about their travel experience," said Jimmy Samartzis, United's VP of food services. The airline will still serve snacks and meals via its "Choice Menu," which passengers can buy a la cart.